Welcome to our Bake Craft Sew DECORATE series! If you’re new or haven’t visited in a while, we will be having Christmas and Holiday decorating ideas around here for the whole month of November! We will be teaming up with our blogging friends Cindy, Mique, and Leigh Anne! When hubby and I first got married, I honestly had no clue how to go about decorating a Christmas tree. I’m quite certain that our first few trees were rather sparse and somewhat ugly. But over the years (it may or may not be close to twenty years and twenty Christmases – but I’m not telling! ), I think I’ve figured out a thing or two about creating a pretty Christmas tree. Including how to decorate it easily. 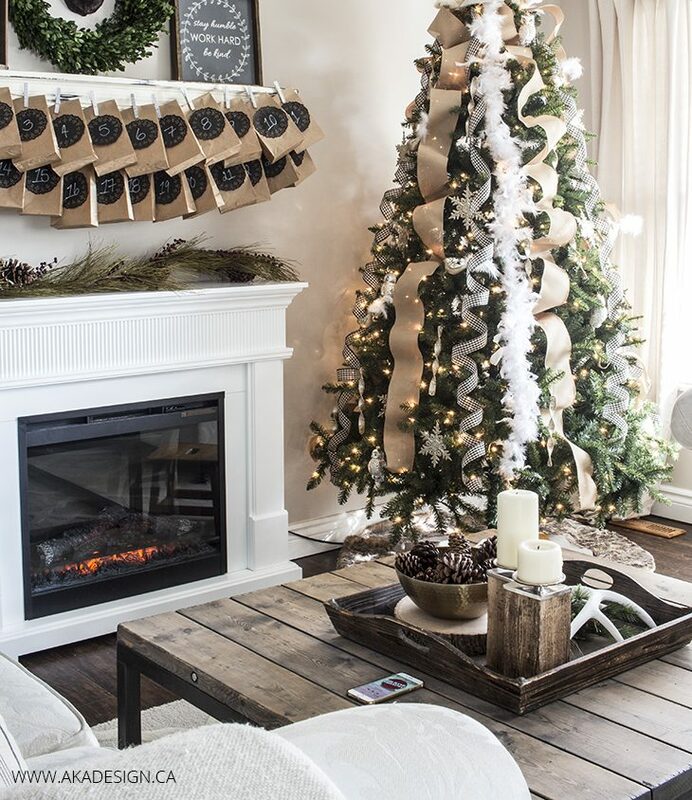 Whether you’re using a real tree or a faux tree, set up your tree in its stand and fluff the branches. 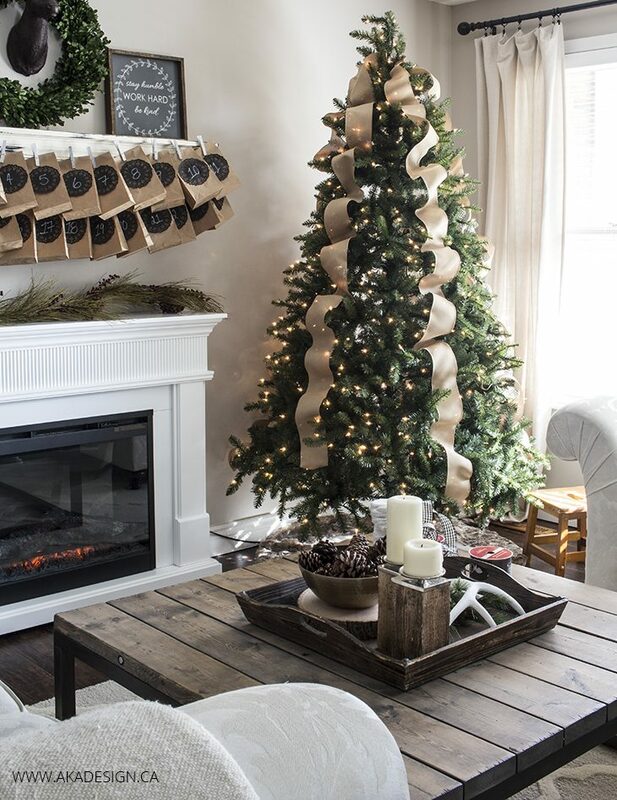 Spread faux branches out to fill in any gaps. If your tree has seen better days and has large gaps, try winding a garland or two down the trunk of the tree or between the branches to create a nice full tree. (If your tree is pre-lit you can skip this step.) If it’s not pre-lit, now is the time to string up the lights. Weave them in and out of branches for depth. Add as little or as many as you like. Personally for a 6-7 foot tree I like an absolute minimum of 300 mini lights and as many as 700. About 100 mini lights per foot-tall of tree is a good general rule. Plug them in so you can see how the tree will really look when you’re placing your ornaments. Add any multiples or sets of ornaments, one set at a time. 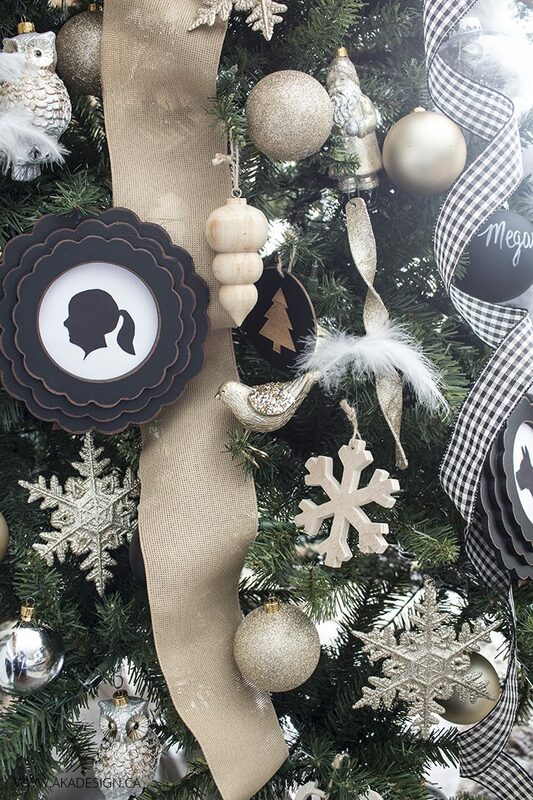 Space them out all over the tree for visual balance. Add any really large or bold ornaments or decorations next. Once all the smaller ornaments are up it’s easier to strategically place the large or bold ones well. 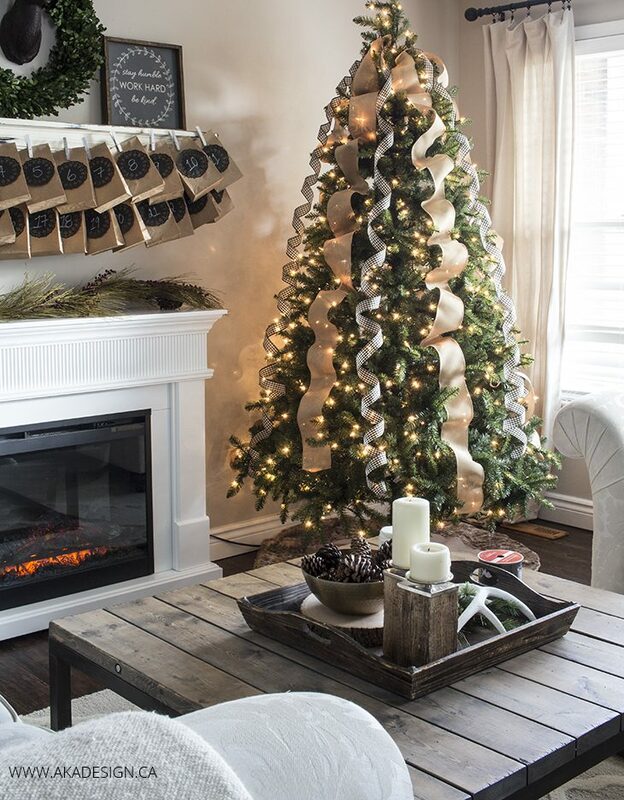 Lay out the tree skirt and add the tree topper as the finishing touches. See? Didn’t I tell you that would be easy? 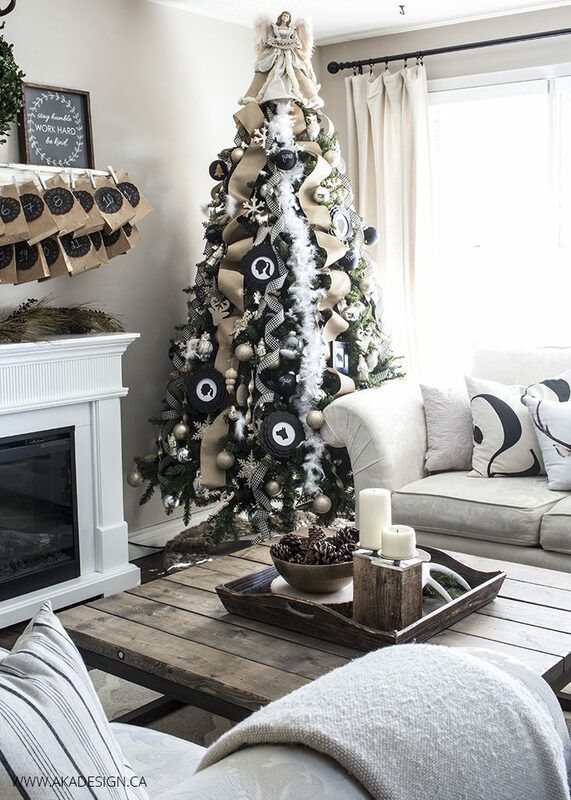 For more of Christmas decorating ideas and projects please come and visit us at AKA Design. Thank you SO much for sharing your gorgeous tree and your amazing talent with us Shannon! You guys, if you’re not already following Shannon, make sure you are ASAP! She is one of our dear friends and incredibly sweet and crazy talented! Stop by her blog, AKA Design and be sure to keep in touch with her on Instagram, Facebook and Pinterest! So Lovely! 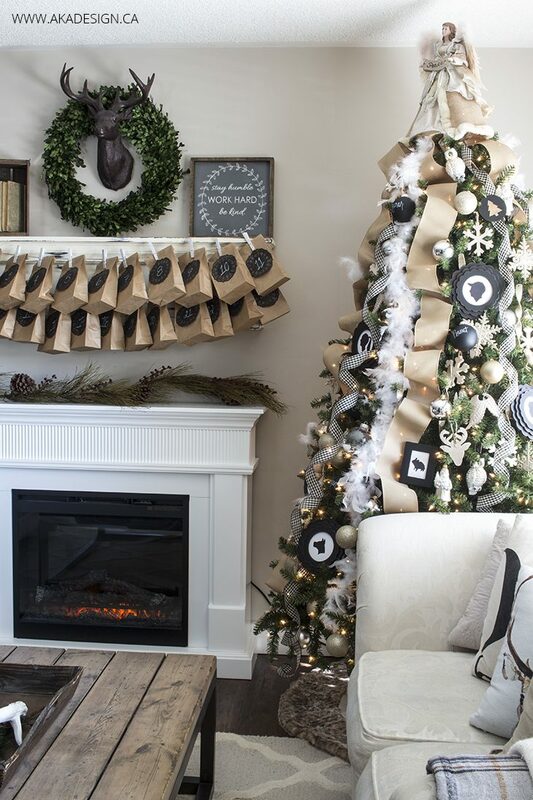 Thank you for sharing the easy way to do the tree decorating. Thank you for the lovely christmas tree decoration ideas. The tree looks so pretty. I LOVE the varying textures of your garlands and the vertical placement! Love it. Must consider this for next year as my trees are all up! So beautiful!